Ripe dark fruit on the nose, like blackberry, black cherries and plums that follow through on the palate with hints of black pepper on the aftertaste. A wine with a dense ruby colour. On the nose, one finds ripe rich flavours like blackberry, black cherries, and plums with hints of cigar box. These rich flavours follow through on the palate with hints of black pepper on the aftertaste. The firm yet fine tannins promise good maturation potential. This wine comes from various blocks that vary between 70m and 120m above sea level. All the slopes are south to south-east facing. 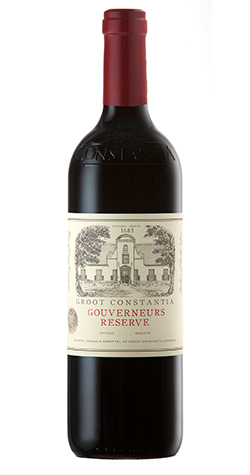 The grapes earmarked for this blend were treated with special care in the cellar. The grapes were picked at 24 - 25°Balling. During the fermentation the wine is pumped over 4 times a day and after fermentation extended maceration for about 4 weeks. Commander Simon van der Stel of the Dutch East India Company (VOC) arrived at the Cape supply station in 1679. Estranged from his wife he arrived in the company of his children and sister-in-law, Cornelia Six. Back in the Netherlands van der Stel had gained a solid background in viticulture at his vineyards in Muiderbergh. There he learned the art of wine and brandy making which he was soon to implement here in the Cape.